A lot of promising tokens around today reward users for contributing tangible assets to the system in exchange for tokens. Tokens such as PowerLedger, Filecoin, and Golem reward participants with native tokens for offering their unused computer power or storage on an open marketplace. For example, unused 150 gigabytes of storage you have on your desktop could be rented in exchange for Filecoin, secured and protected cryptographically through a blockchain. Excess power generated through home solar-panels could be sold directly to neighbors. This is what the new sharing economy will look like, both consuming and producing without additional infrastructure cost. Instead of consumption, it’s prosumption. The product can be consumed for personal use and shared for a profit, thus putting more capital into the hands of the average American. The Tokenized Everything TOKEN ECONOMY 7 FIELD GUIDE What is a token? 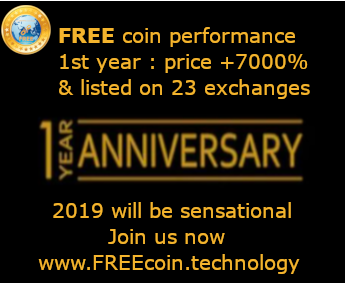 A token is a unit of value that an organization creates to self-govern its business model and empower its users to interact with its products, while facilitating the distribution and sharing of rewards and benefits to all of its stakeholders. This seems like a perfect solution to power and money consolidating in the hands of fewer companies - it only makes sense that prosumers will shift this balance and accelerate new markets. The tokenization of excess personal resources puts a price on and actively monetizes what was once an untapped market. These tokens can be the bedrock of these systems, creating new flows of liquidity and opening up new channels of spending and saving. And as automation begins to limit available jobs for many Americans, the adoption of tokenomics in prosumer markets begins to look like an appealing antidote. While it’s sensible to tokenize physical resources such as energy or storage, it may be possible to tokenize more abstractly, putting a price on things that were previously impossible to quantify - like human behavior. Since economics incorporates human behavior and incentives on a large scale, programming money to provide these incentives could help direct the behavior of people and societies toward particular outcomes. Charlie Shrem is a Bitcoin pioneer, a social economist and digital currency trader. His work in this field is legendary. In 2011, at the dawn of the crypto era, he founded BitInstant, the first and largest Bitcoin company. In 2013, he founded the Bitcoin Foundation and serve as its vice chairman. Since then, Charlie has advised more than a dozen digital currency companies, launched and managed numerous partnerships between crypto and non-crypto companies, and is the go-to guy for some of the world’s wealthiest entrepreneurs. In short, he is the ultimate insider at the epicenter of the crypto universe. 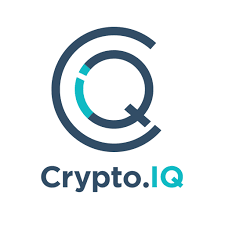 Crypto.IQ is a premier advisory firm providing expert research, education and advice in the world of cryptoassets. The company is unique in that it combines the unparalleled expertise of crypto pioneer Charlie Shrem with the unparalleled market knowledge of three Wall Street experts with more than a century of combined financial industry experience. Together, they have managed and traded more than $1 billion in assets. In a world of “instant experts,” who have little knowledge or trading experience, the Crypto.IQ team offers the proven depth, insight and knowledge to help their clients achieve success. Raise your Crypto.IQ…and profit! Crypto.IQ gives you the insider knowledge you need to succeed as a cryptocurrency investor.